After meeting the boys at Bethel Street Home, Julia has gained a great respect for them and the work in which the Lord has led us. We will miss you Julia!!! In August, Julia came to visit us in Ethiopia for the second time. We celebrated her 21st BD in Mombasa, Kenya and reintroduced her to the boys to whom we have become devoted. We have seen these boys grow in both their allegiance to the Lord and their readiness to become active self-reliant and contributing members of our community. After saying our tearful goodbyes to Julia at the Bole International Airport on Monday evening, we met Getachew Tikke, the director of Bethel Street and Family Aid Services (BSFAS) at the Ministry of Labor and Social Affairs (MOLSA) Office on Wednesday morning and began the process of requesting our much awaited work permit. Although Getachew had all the required papers in order, Thursday we faced some officials who were fearful in authorizing the permit. Getachew with months of experience and wisdom in gaining his license certification for his own organization, was able to encourage these officials to meet their authorized responsibilities and the work permit was granted in a matter of hours. Hurrah!!! We immediately went to the Immigration Office one hour before closing, presented our application for residency and the required supporting documents and were informed to make copies of our new work permit and submit a letter from Shiloh Bible College releasing Claire to work with any agency of her choice. We were to come back the following morning to finish the processing. We had a celebration dinner, discussed and prayed over plans we would be soon starting before Getachew returned to Hawassa to meet his responsibilities there. Claire contacted Shiloh that evening and they quickly emailed her their closing letter. We returned early the following morning and after a two hour expedited processing, we had approval of our residency status. After a friend from Christ Embassy Addis, had agreed to pick up our residency cards and mail them to us, he placed us in a private vehicle and we were back in Hawassa 4 hours. All we have is praise for our Lord Jesus in making the process so smooth; He answers our every prayer and does so surprisingly and abundantly!!! 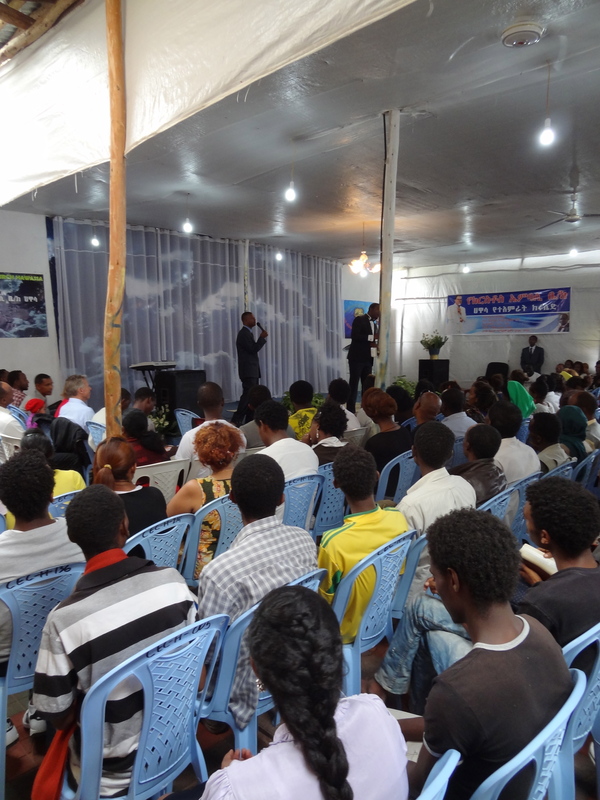 We are now ready to work and give others an opportunity to sow seeds in His Kingdom plans for the street youth of Hawassa. In August 2012 we had returned to Ethiopia with all the necessary papers, expecting to find housing for as many street children as possible. We began sponsoring a new street home managed by a person that appeared to have the best interests of the children at heart. After a few months we discovered his motives were not at all what we had thought and he and the children were being forced to leave by the landlord. 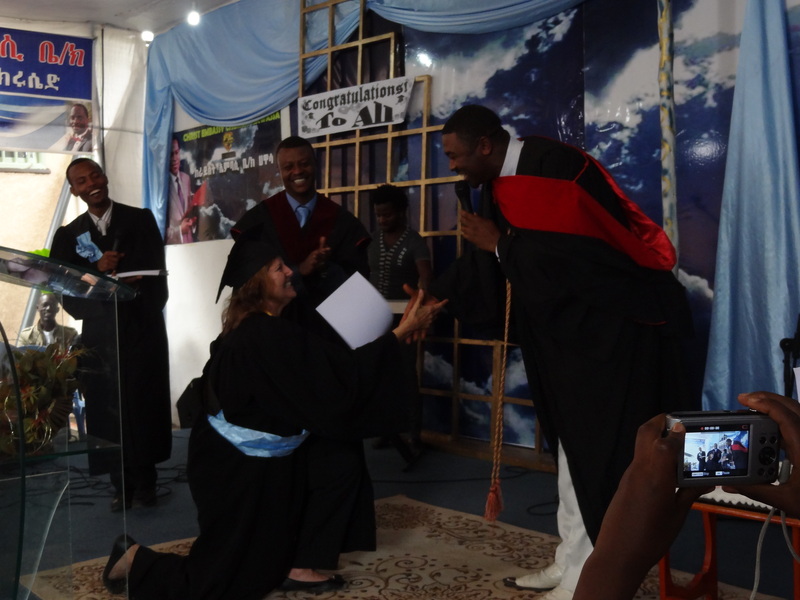 The children were placed in another home quickly and because of the potential threat to the standings of Shiloh Bible College, we agreed to cut off all our relationships with the organizations to which we were connected. This was a particularly low point in our spiritual walk as the desire to fulfill our calling in the Lord had come into conflict with many worldly considerations. But the Lord is always faithful and we were introduced by a friend to Christ Embassy a congregation led by a Nigerian English speaking pastor. We came to the service just being thankful to hear a service in English since, all other services are translated from Amharic into English and much is lost in translation. We began hearing a doctrine that focused on seeing ourselves and other Christians as empowered by a new spirit (2 Co 5:17) and through the belief in our heart and confession with our mouth (Ro 10:9,10) of the power and authority with which Jesus has left us, we can overcome any obstacle. Our lives are to be forward and upward and, in Christ, we cannot be defeated in any area of our lives. We have been challenged to believe and have faith in scriptures as John 10:34,35 and Matthew 21:21 and fight the good fight of faith as we persistently confess with our mouths we are the bride of Christ doing the same and greater works that Jesus has done and awaiting His return. 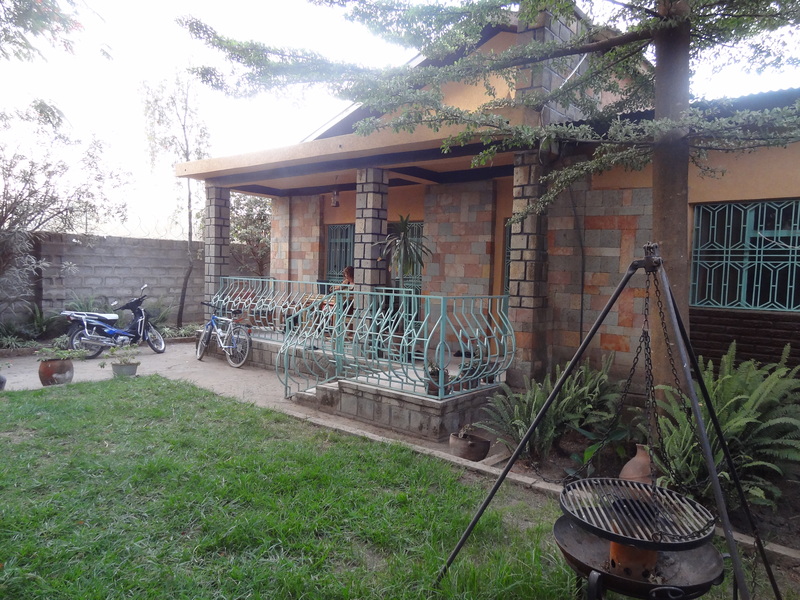 Since we returned back to Ethiopia in August 2012, we lived for 5 months in two different houses before some friends moved back to the US and left this home vacant. We moved in Jan 1, 2013 and bought some of their essential items (i.e. stove, refrig, washing machine) and then purchased bamboo furniture which is both inexpensive and attractive.